It has been three months since Jameek Lowery’s mysterious death following a bizarre series of events that started with a live broadcast at the Paterson police headquarters. His mother, Patrice King, is still looking for answers. King has repeatedly pleaded, sometimes in tears, to the City Council for answers. She’s not the only one waiting for the autopsy results. DeMarco noted the case is still an “ongoing” investigation. Lowery died on Jan 7. He called 911 on Jan. 5 from his home and told a dispatcher he had taken too many ecstasy pills and needed an ambulance to take him to the hospital. He arrived at the hospital, but became “erratic” and left. “We have no information whatsoever,” said Michael Jackson, 1st Ward councilman, to the mother on Tuesday night. 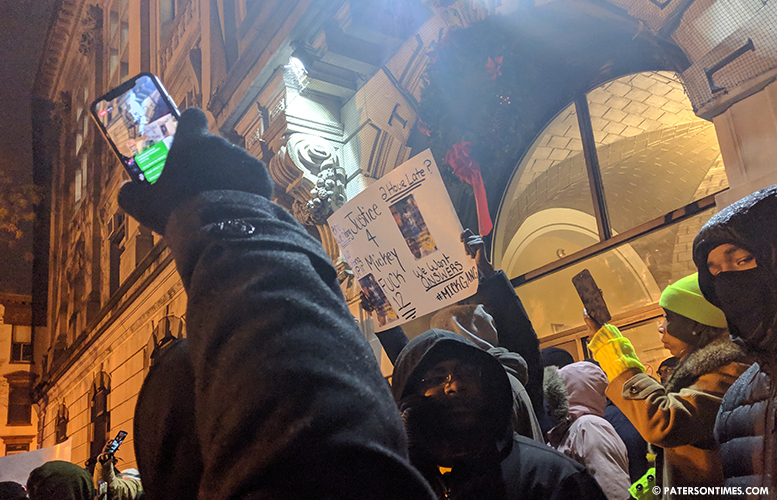 Lowery’s death sparked repeated protests at City Hall. “Folks are appealing to us and I feel that appeal as a parent,” said William McKoy, longest serving member of the City Council, who has two sons. McKoy suggested crafting a letter to the New Jersey Attorney General’s Office to seek answers for the family. This mom should have her attorney send a letter to all parties involved. Sometimes when the attorney initiate the conversation,this will get ball rolling. We already know that the council don’t have the information, they will only have the information when your attorney serve the city . But I do agree with the council man that an explanation is needed. Give this mom or her attorney a timeline for completion that is warranted given the circumstances. If all else fail get 7 on your side.